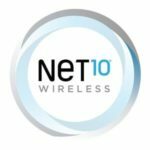 NET10 Wireless is an MVNO that operates on all 4 major networks, Verizon, AT&T, Sprint and T-Mobile. The company was founded in 1996 and it is one of several brands that is owned and operated by TracFone. Whichever network you choose to use when you signup with NET10, your download and upload speeds should be similar to what you would get if you signed up directly with that network. The availability of full speed LTE data on Verizon MVNO’s is a relatively new feature. It wasn’t until the summer of 2017 that it first became available to TracFone brands. However, some MVNO brands such as Red Pocket Mobile still appear to occasionally limit download and upload speeds. Historically Verizon MVNO’s have had their download speeds limited to 5 Mbps and upload speeds limited to 2 Mbps. NET10 phones, SIM cards and airtime cards are sold by various retailers including Walmart, Target and Best Buy. Online retailers such as Amazon also carry the brand. You can also always buy straight from NET10. A limited selection of phones are available for purchase from NET10. Online availability is based on your location. If you already own a phone that is out of contract, paid off in full, not reported lost or stolen and is compatible with either AT&T, Sprint, T-Mobile or Verizon, you can use it with NET10. Most universally unlocked phones from manufacturer’s such as Motorola and Samsung will also work. Customer support is available over the phone, through online chat, social media and snail mail. Chat is available from 8AM – 11:45PM (EST) 7 days a week. What about WiFi calling? Is it supported by NET10? Yes. But unspecified on which networks or phones it works with. And you also have to register an e911 address to get it.